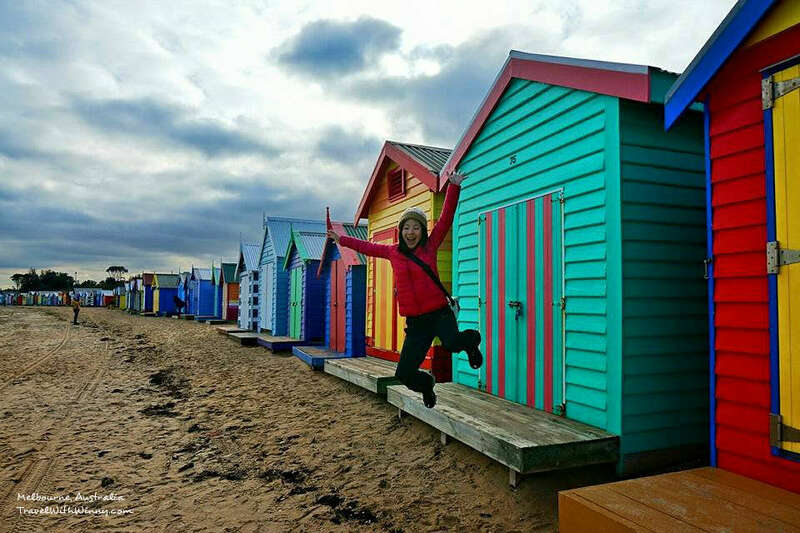 Been To Melbourne so many times, but first time to Brighton Beach! 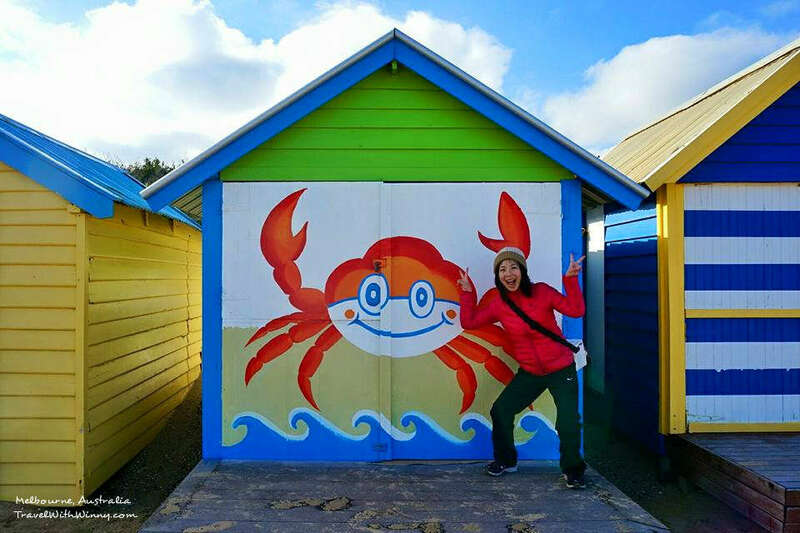 How to find the Brighton Bathing Boxes! 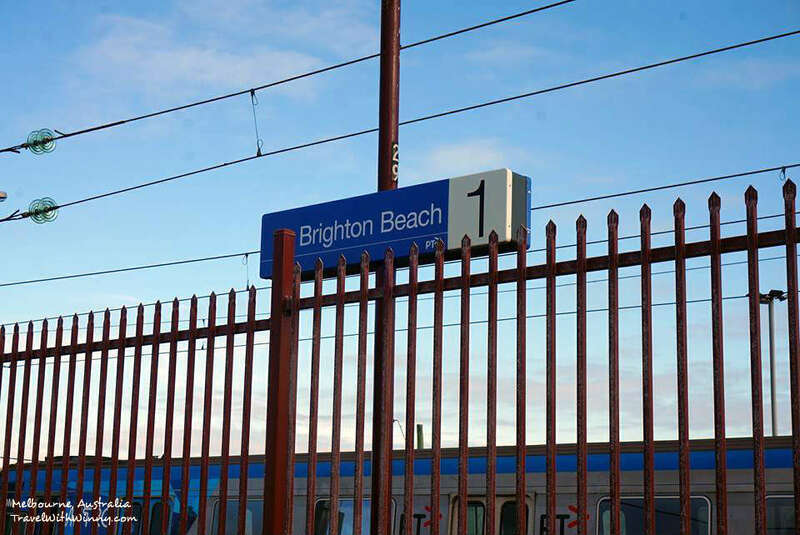 First method is to take the train to the “Brighton Beach Station”, Brighton beach is the first stop of Zone 3 . After arriving at the train station, take a right turn after exiting the station. 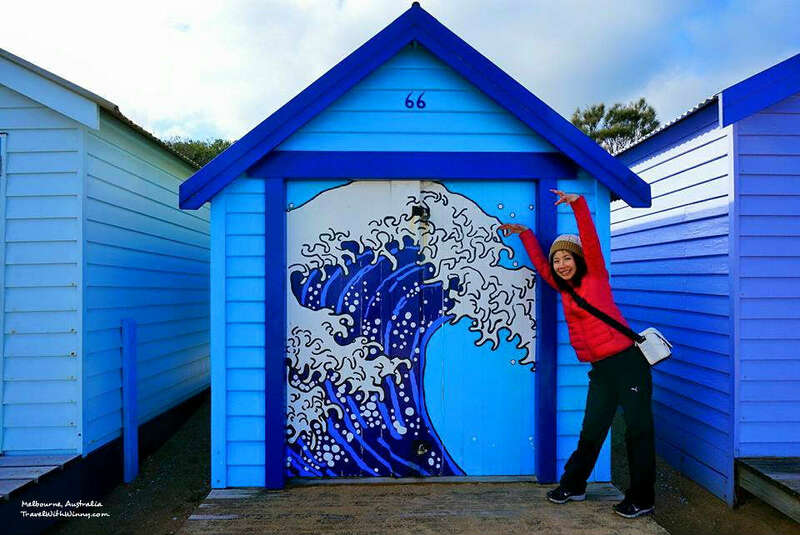 Walk along the beach for 1.3 km and you’ll see the colourful boxes! 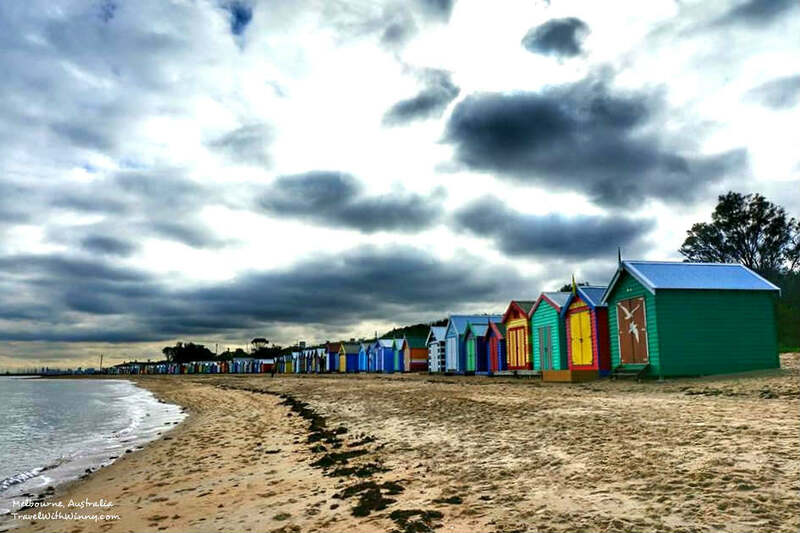 Although there weren’t many shops to go to along the way, Brighton beach is one of the poshy suburbs of Melbourne and there were many stunning real estate to look at. Take the train to Brighton Beach Station. The second method, which is my preferred method, is to take the train to one stop prior to Brighton Beach, called Middle Brighton. Although it doesn’t stop at the beach, it is actually closer to the Brighton Bathing Boxes. More importantly it’s the last stop in Zone 2 and hence the ticket price is cheaper! 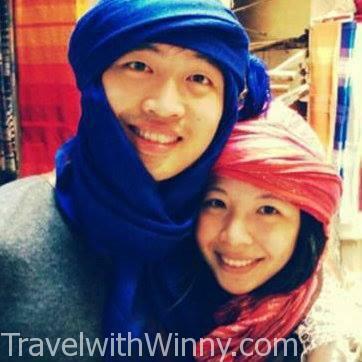 there are also supermarkets and specialty shops for you to visit along the way. Along the way there will be plenty of Brighton Bathing Box signs. 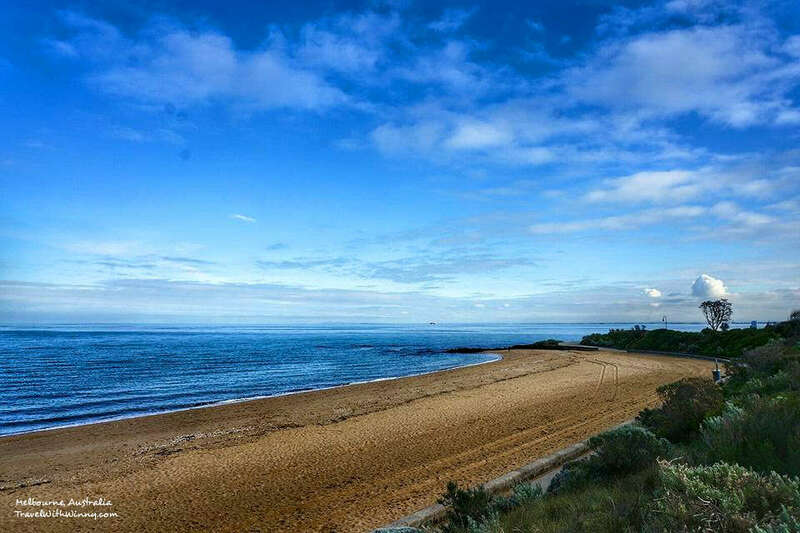 That day was our last day of our epic Great Ocean Road road trip (further reading: What to see on Great Ocean Road?) so we drove our car to Brighton Beach and we parked at the free car park at Brighton Beach Station and walked to the Brighton Bathing Boxes. If I were to take the train I would stop at Middle Brighton. Brighton Beach scenery was very pretty. If you want to thoroughly understand how the Victorian public transport operates, please click Public Transport Victoria! What are the purpose of these Brighton Bathing Boxes? In the 1800, Australians are a little more conservative. These bath boxes were originally built for people to change into their bathers. Of course in the modern society, people don’t use it for such a purpose any more, but these Brighton Bathing Boxes remain. Asians have a nick name for these bath boxes called “Rainbow Huts”. Quite a different atmosphere on a cloudy day. 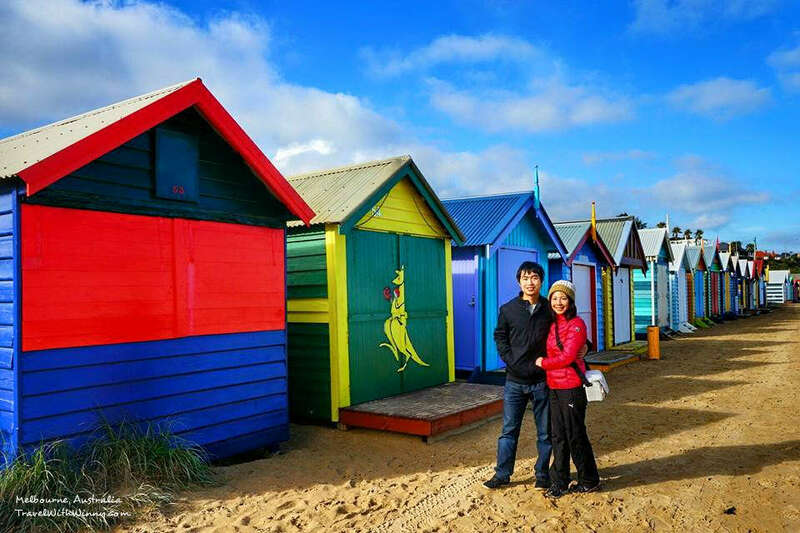 Now, one of these “rainbow huts” cost on average AUD$200,000! In year 2011, one of the Bathing Boxes was sold at AUD$260,000! Being someone from Adelaide, that money would buy you a three bedroom house with a large back yard. Rich people really have too much money! 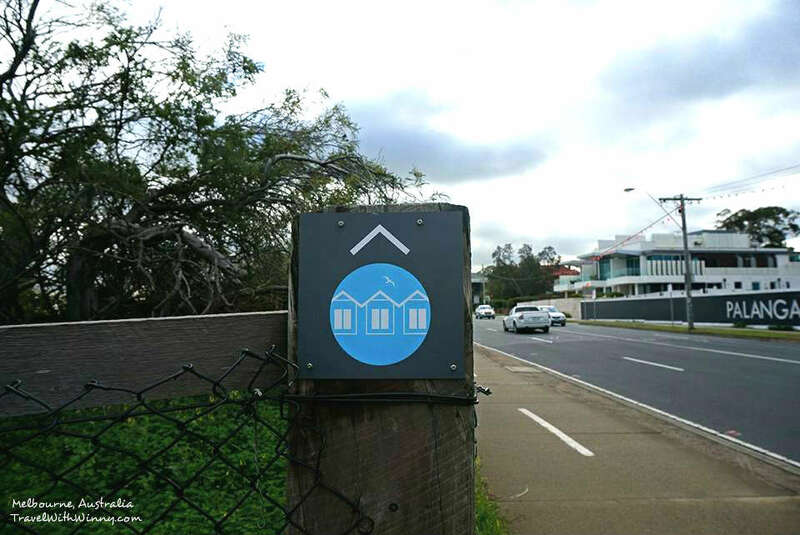 Also there are restrictions that these Bathing Boxes can only be sold to local residents. Few moments later… it seems to be a warm sunny day, Melbourne truly has a crazy weather! Now these Brighton Bathing Boxes are purely used for storage purposes. Most people keep their surf boards, kayaks and other beach equipment in there. These Bathing Boxes do no have water or electricity but it’s a damn nice place to chill on a warm sunny day. 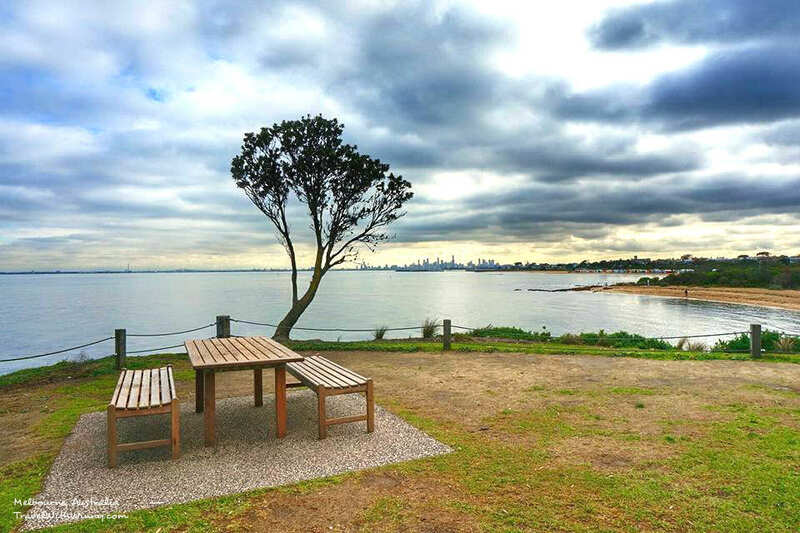 From here we could see Melbourne’s perfect beach scenery and it’s only 13 km from Melbourne central. Could see the Melbourne coast line from here. Each Bathing Boxes have its own unique characteristic. i.e Boxing kangaroos, Tsunami, space invaders or simply, flag of Australia. No matter what time of the day and what day in the year, there are plenty of tourists around! There were tourists from all across the world. The Europeans have their own Bathing boxes along their shores as well. Each Bath Box has its own characteristics. There are 80 Brighton bathing boxes in total and to see all of them requires a bit of a hike. We were quite impressed with a few of these boxes and were getting carried away posing with them. We had a really fun time pretending to fight with the tsunami and doing the crab walk. Please enjoy our 33 seconds clip of Brighton Bathing Boxes!